How to Sell Products on Amazon and eBay without an Inventory? In the last few decades, the technology has made everything easy for us through the internet. Every single work can be done with an internet connection. 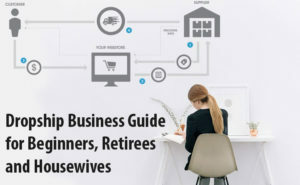 Whether it is about paying the bills, studying, booking tickets or the shopping, it is the net connection we rely. You can find each and every daily need stuff online. People prefer to buy things online rather than going to the market and wandering from shop to shop searching just for a single product. Internet shopping has made life easier for the people and opened new opportunities for the entrepreneurs as well. Starting up a business through internet is the most chosen option nowadays. You can also do the same through drop shipping which is a way to sell products online without inventory. After getting so used to with these shopping sites, a thought might have definitely crossed your mind that what if you could also sell products on Amazon and eBay? How would you do that? From where would you start? Will it take a lot of capital investment? Well, no. For selling products on Amazon you don’t need a lot of investment and you can sell products on Amazon and eBay without having an inventory. This is where drop shipping comes in. We will make you clear about each and every step explaining to you what drop shipping is, and what its benefits are. 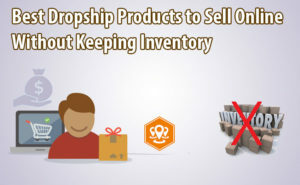 So, how to sell products online without inventory through drop shipping? 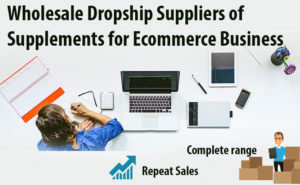 Drop shipping is one such business option that can help the people who are looking for their startup without getting into much financial risk. It is a very attractive way of doing business if you don’t have a lot of money. It is a type of e-commerce business where you just take orders on your website from the customers. Then your supplier or the distributor is responsible for the shipping and fulfilling the orders to your customers. As a result, you simply act as a middle man and sell products online without inventory. You own the products without having the need of holding them as a stock or without buying them upfront investing a huge amount of capital. Let’s get into detail that how it actually works. You sell the products on your website and a customer places an order. You confirm the order taking the payment and forward the same order to your supplier, paying him the price of the product. Your supplier then ships the product directly to your customer fulfilling the order. Your profit is the margin between the price you were charged by your supplier and the price you charged your customer. You will never have to see or handle the product or the stock as everything is done by your supplier. This is how you sell products online without inventory. Every business has its own positive and negative sides. Therefore, there are a few things you should bear in your mind. It is that the supplier or the manufacturer should be reliable. Your business totally depends on the supplier as they are the only ones who ship the order safely and timely. Your customer satisfaction is their responsibility. Secondly, only a good supplier will keep you updated about the stock level that whether a product is out of stock or available. This will save you from confirming the orders that are not in stock. Customer’s trust really matters when you are new to the business. Similarly, the products you opt should be branded and good in quality to enhance a customer’s shopping experience with you. Now, read on the benefits to sell products online without inventory. Less investment required: This is the biggest advantage of drop ship business. You can launch your store without having to invest much. You don’t have to purchase the goods and rent a warehouse to keep the stock. Your suppliers hold the stock you own. Also, you don’t have to pay for any of the product until a customer places an order and make you the payment. So, you can start up with a little money too. Easy to start: It is an easy to start this business as you don’t have to deal with the physical products. You just have to take the orders and pass them to your supplier. They will do all the rest work. You don’t have to handle the packaging and shipping or have to manage a warehouse or stock level. Neither you have to track inventory nor have you to handle the returns. Isn’t it an easy business option? Low overhead cost: Because you don’t have to buy inventory or stock or rent and manage a warehouse, your overhead expenses are low. You only need a laptop and an internet connection to get started. As you will expand your business there are very fewer chances that your expenses will increase too. Freedom of location: You don’t even have to look for a store or office to setup your business as drop shipping can be done from anywhere in the world. You only need a laptop and an internet connection, and that’s it. Whether you are at your home or at vacations you can operate from anywhere you like. Variety of product selection: As you don’t have to buy the products and invest a lot of money. You can offer a wide range of products to your customers. To sell products online without inventory and purchase decreases the financial risk. You can add several products to your store and also change them according to demand in the market. It also allows experimenting with the new products to see how well they are accepted in the market. Easy scaling: You can do three times as much work. As you don’t do the packaging and shipping work, or managing the stock, you save a lot of time. You can take additional orders and then also it won’t increase your workload. You can also contact multiple suppliers once you get used to the drop shipping business. How to sell products on Amazon and eBay through drop shipping? Decide on the niche and find the supplier: The very first step to start with the drop shipping is that decide what you are going to sell. Be careful on choosing the product as that is the most important thing which is needed to build up a business. The product or the niche you are going to select should be in demand. You should also think about the quality and brand of the product because these things are very much needed for the customer’s satisfaction. When you are done with making your choice, find a reliable supplier for it. A supplier, that offers drop ship facility. 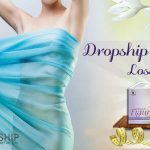 Register for their drop ship program and choose the products: After getting confirmed with the supplier it’s time to join their drop ship program. Go to their website and register for their drop ship program. Provide them your details and get ready to select the products from the several products their store offers. Write a unique and high-quality description for each of your supplements to sell products on Amazon and eBay without having an inventory. 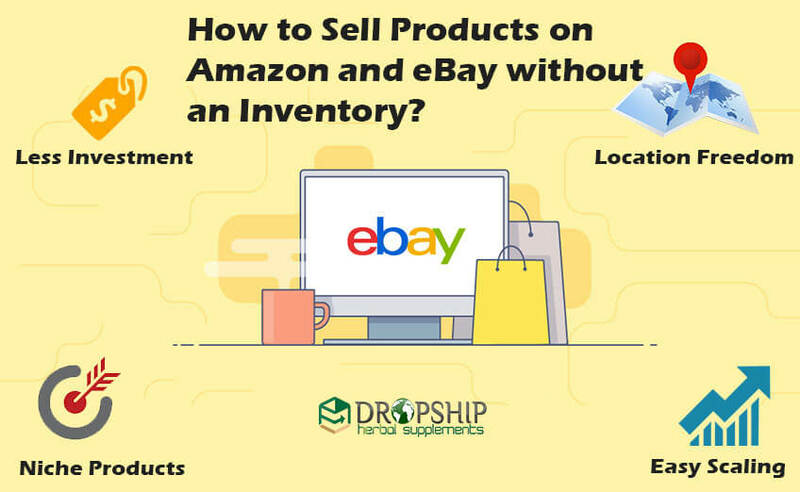 Make your seller account on Amazon or eBay: Now, the final step is to sell products on Amazon and eBay through drop shipping. Open a seller account on Amazon or eBay or any other market places whichever you prefer. Then list your products with their descriptions so that the customers can easily understand about your product. It saves you from the further misunderstandings and reduces the chances of the customers’ dissatisfaction. Now, you are ready to take orders and to sell products on Amazon and eBay without having an inventory. When you receive an order on your Amazon or eBay seller account, confirm the order and take the payment. Then simply log in to your drop ship account and place the same order to your drop ship supplier at the discounted rates. They will ship your item directly to your customer. The difference in the margin will be your profit. This is how you sell products on Amazon and eBay through drop shipping. 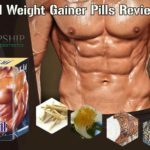 If you are in search for a happening product and a reliable drop ship supplier, then go for DropshipHerbalSupplements.com where you will find hundreds of high quality supplements to sell online. They are the best manufacturers and wholesale suppliers of natural health supplements and herbal products. They keep the high quality and premium products that undoubtedly satisfy the customers. They are established and have numerous drop ship partners due to their reputation in the market. What can be better than herbal supplements as your niche to sell products on Amazon and eBay through drop shipping? Natural products are the most preferred supplements nowadays. People are getting conscious for their health day by day and are turning towards the natural products. They are replacing every chemical loaded product and supplement with the herbal ones. They are away from side effects and rich of nutrients which make them the most demanding products in the market. Therefore, nothing can serve you better than choosing for herbal products as your drop ship niche. 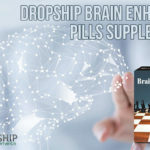 Register to the DropshipHerbalSupplements.com and get ready to sell products on Amazon and eBay through drop shipping.